True to Johns Hopkins University’s mission to “bring the benefits of discovery to the world,” the Johns Hopkins School of Education equips educators and communities—locally and globally—with the latest insight into how learning happens. 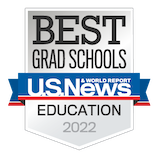 The Johns Hopkins School of Education explores the frontiers of knowledge to understand how individual, communal, behavioral, and neurological aspects of human development interact to impact learning. And we are passionate about sharing our findings: with educators, with leaders, with communities, with students. With you. From individual students to the schools they learn in, from communities to whole populations, quality education is imperative. Nothing less than our future is at stake. Join the Johns Hopkins School of Education at two campus locations or online. Explore certificate, master’s, and doctorate programs made for educators and leaders like you. 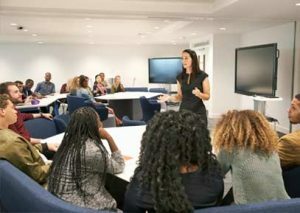 The Johns Hopkins School of Education is leading the way with the latest research into how learning happens. Explore our centers, institutes, and initiatives. 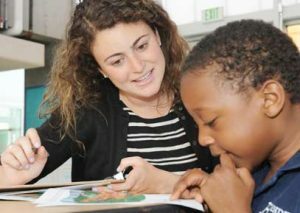 The Johns Hopkins School of Education partners with communities, schools, and educational organizations because learning is a shared mission.